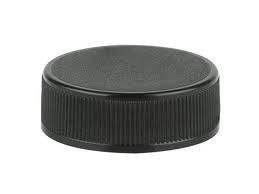 Black Fine Fibbed Screw On Cap with F217 Liner. Fits our 32 oz. glass bottle or any bottle with a 33/400 neck size.